Pizazz it up this spring with a replenishing, correcting mix of skin delights for the everyday, anywhere Sorbet girl. Our Sorbet Editors have handpicked our top sellers of the month but don’t forget… our entire Sorbet Skin Care Collection is available at a Sorbet or Clicks store near you! 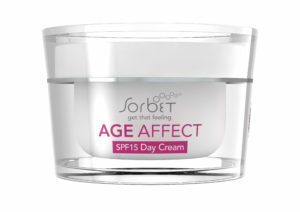 Sorbet Skincare Professionals know that keeping ageing skin looking glowing and youthful requires scientific treatment. 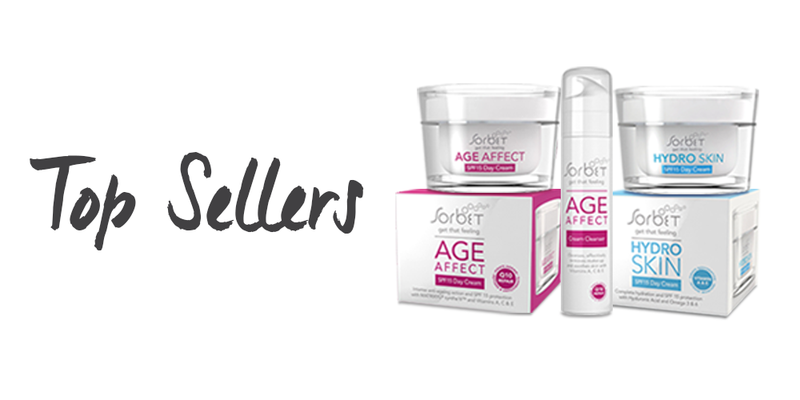 Age Affect is your intense anti-ageing solution to help keep skin younger looking, firm and wrinkle-free. Skin regeneration slows down as we age, wrinkles begin to appear and skin becomes less firm. Age Affect contains a scientific combination of powerful actives (MATRIXYL® synthe’6™) and age-fighting vitamins (A, C & E) to help combat the signs of ageing and restore your skin to a healthy and youthful appearance. Sorbet skincare professionals know that bright and healthy-looking skin needs moisture. Hydro Skin is your complete hydration solution for beautiful, glowing skin. Your skin has a protective barrier to help keep it hydrated and supple. 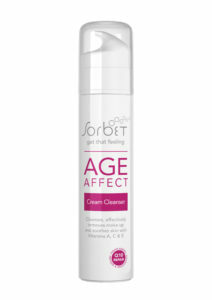 Environmental factors can compromise this barrier and cause skin dehydration, irritation and premature ageing. Hydro Skin helps to restore this barrier by drawing moisture into the deeper layers of the skin, optimising moisture, improving texture and relieving irritation. Hydro skin is your complete hydration solution for beautiful, glowing skin.